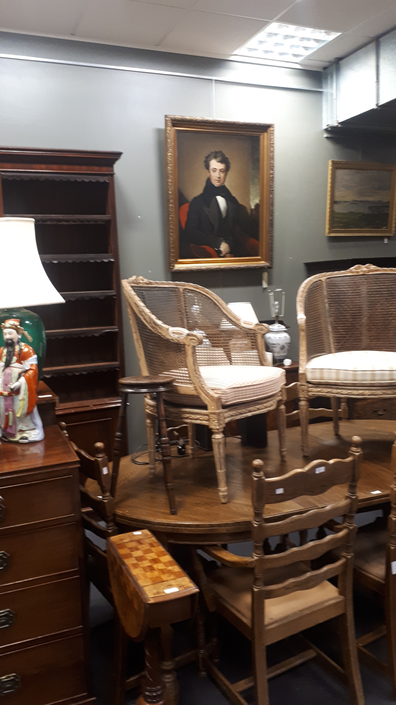 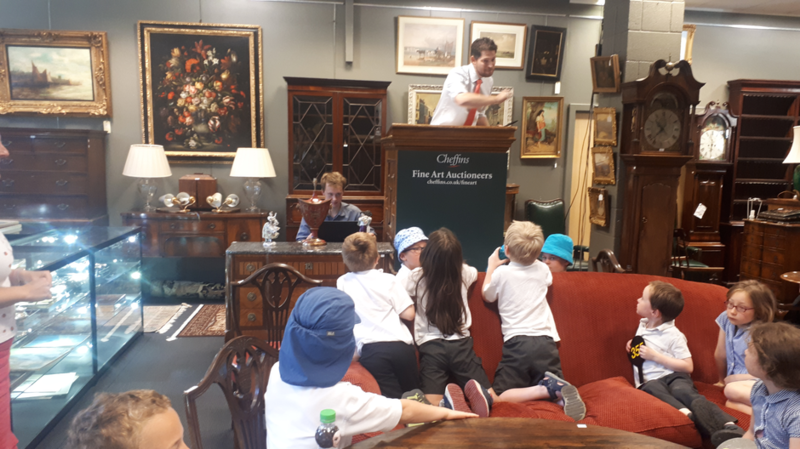 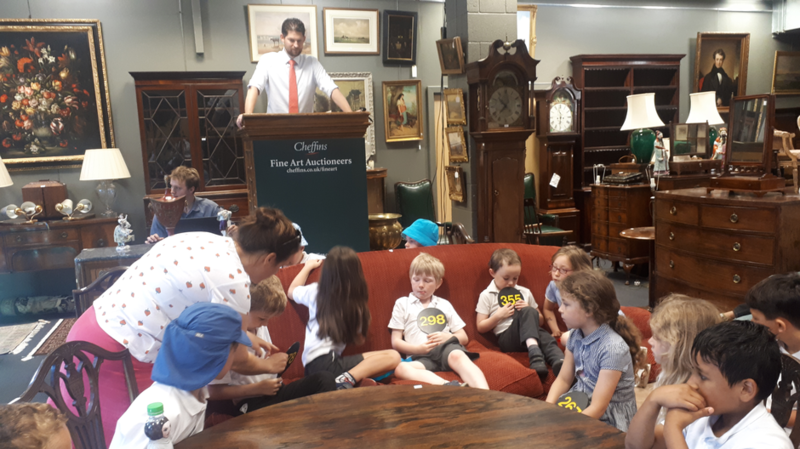 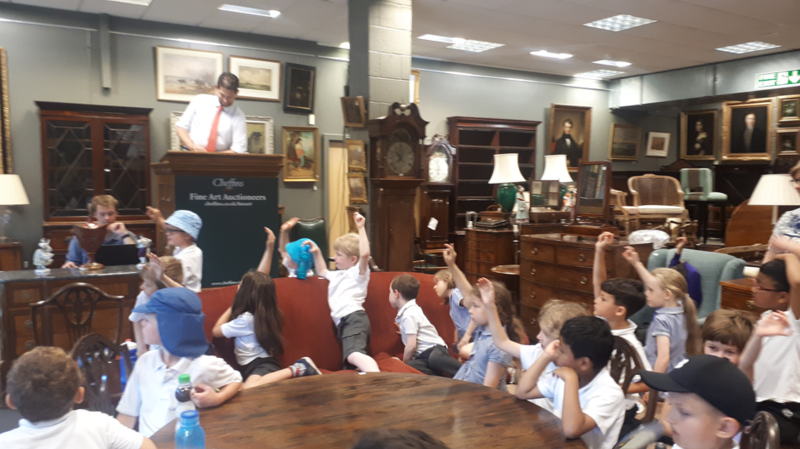 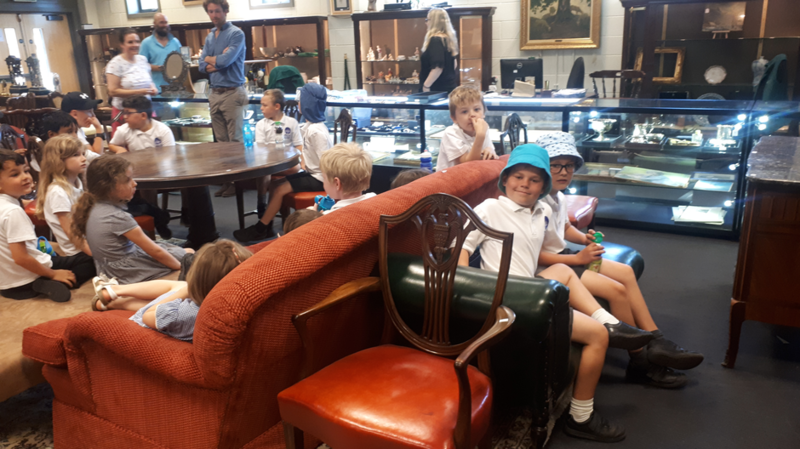 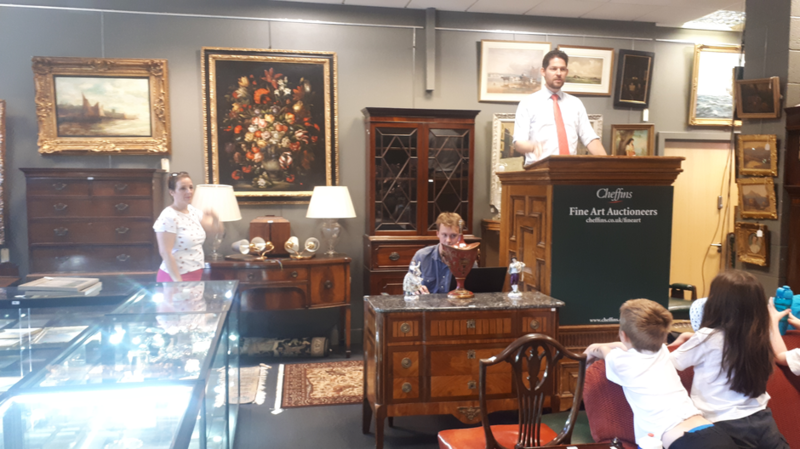 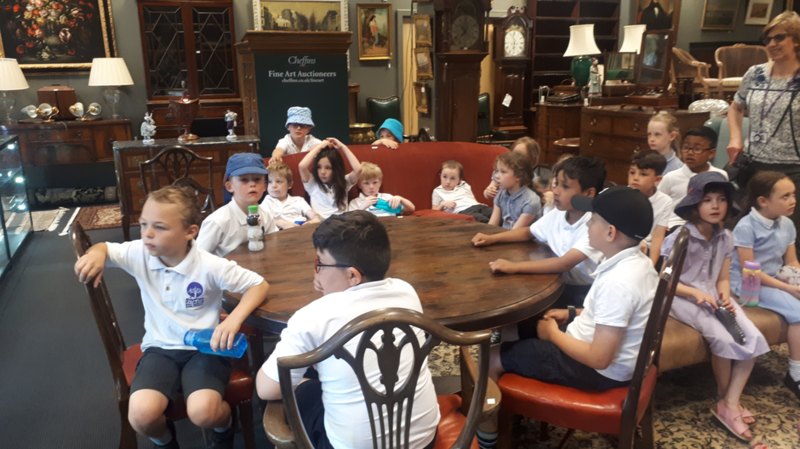 Mrs Morten wanted to brighten up the school and create an atmosphere of quiet sophistication and contemplation - so she sent the children of 2EK to a Fine Art Auction at Cheffins. 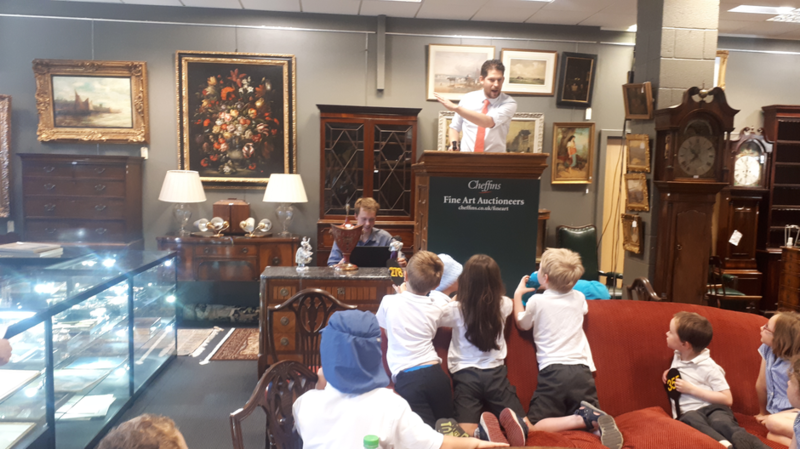 Unfortunately, things got a bit out of hand and many thousands of pounds were successfully bid, securing several of the finest pieces and wiping out the school's stationery and paper towel budget for approximately thirty five years. 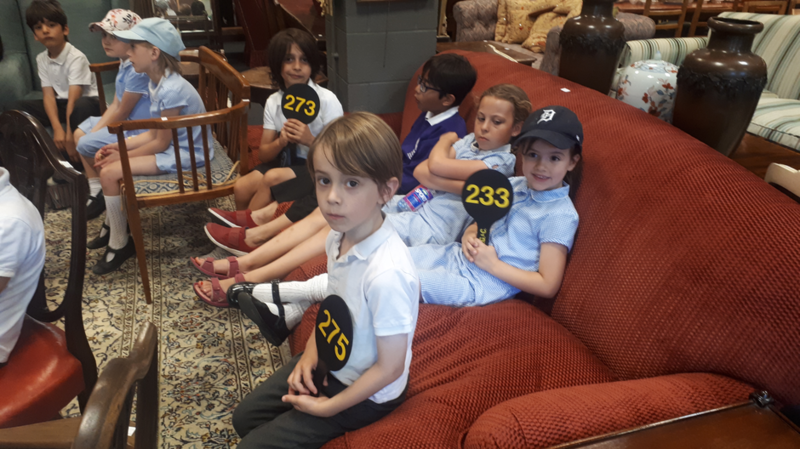 Still, at least everyone had fun.